After a few successful years on the market, the creators of Book of Ra slot game have decided to follow the latest trends and adjust this real game for mobile devices – smartphones and tablets. It comes with nine pay lines and reels of scatters that will keep players look for the treasure. Before we go into details, we should mention that the mobile version of this slot has nothing to do with Book of Ra Deluxe. The latter is just a new part of the popular slot game. So, we are actually talking about the mobile version of the classic slot game that was first used as a physical slot machine and later as an actual online slot game. Once you start playing this game on your mobile device, you will notice that the game is still more or less the same. So, the transition to mobile devices has not affected the playability and excitement that this game provides. Users who expect some spectacular graphics and new, modern sounds and music may be a little bit disappointed, but they should never forget that it’s the game and the prizes that this game brings that make it so popular. For instance, you can still get a chance to use the free spin bonus. With this bonus, you can increase your bet win for 5,000 times. 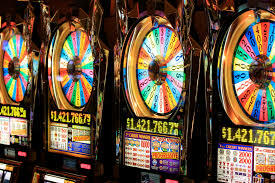 There are many things that make Novomatic slot machines popular, but according to many users, the main advantage is that these games are not very complicated. Of course, they are quite entertaining too. Whenever they are making slot games, their main focus is put on delivering juicy bonus game options for every because they know that it is these bonuses that give players the thrill and excitement, not the sounds and graphics. In the case of this mobile slot game, we are talking about the free spins bonus. When you get this bonus, you will also get one symbol as a scatter. If the symbol appears in multiple lines where it can provide a win (at least 2) they will expand and cover the entire reel providing multiple scatter wins. In theory, you will be able to multiply your win for up to 100 times. That’s why you need to be careful and watch what you are doing during play. Obviously, getting a free spin is not a simple task. Some experts who have experience with this mobile game say that people get it after 200 spins on average. It is better to make a good plan and calculate your budget before you start playing. Truth be told, you can get this spin after one spin too because slot games are not very predictable. The mobile version of Book of Ra is a good attempt of Novomatic to revive the popularity of a classic slot game that has brought joy to thousands of players. This is not a visually stunning game, but it promises some great prizes.